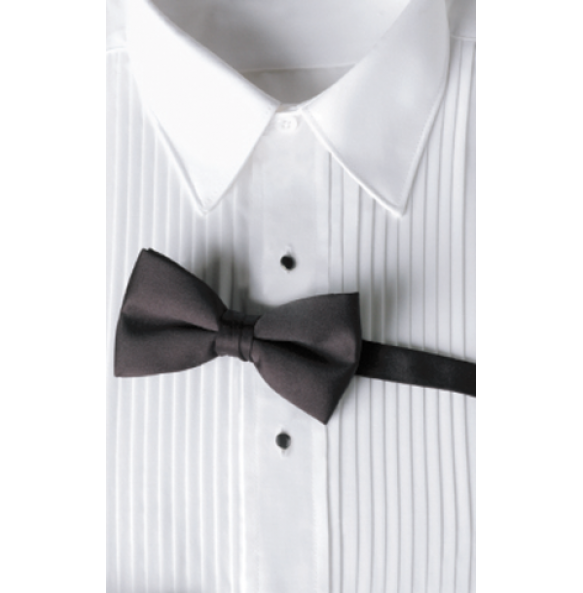 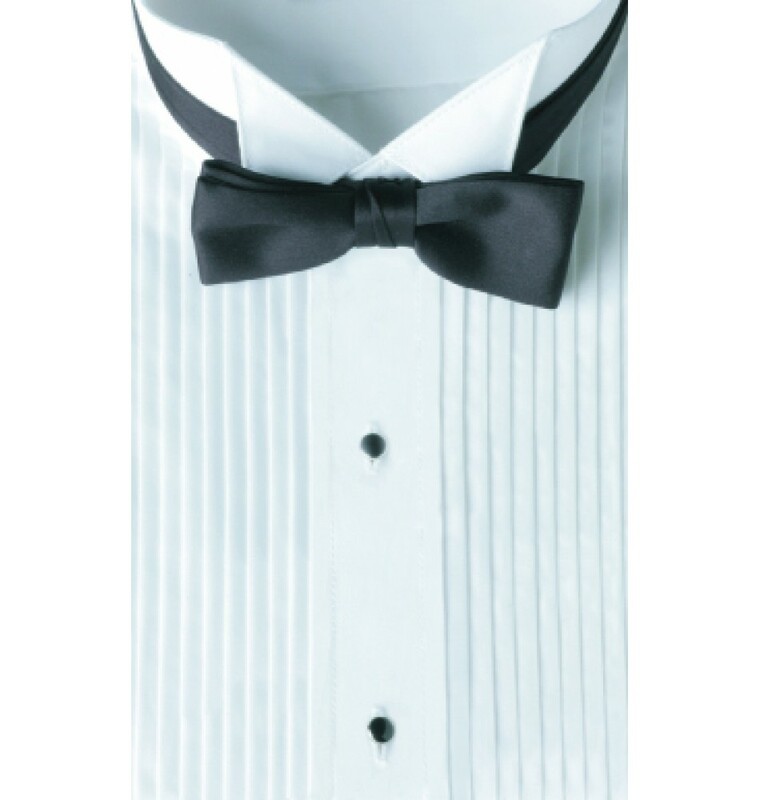 Choice of Wing-Tip or Lay Down Collar Tuxedo Shirt + Poly-satin Adjustable 2" Bowtie in Black. Details on our Tuxedo Shirt and Bowtie Package: The tuxedo shirt is built with 65% polyester, 35% cotton so that it breathes well but remains starchy enough to have that crisp "just pressed" look. 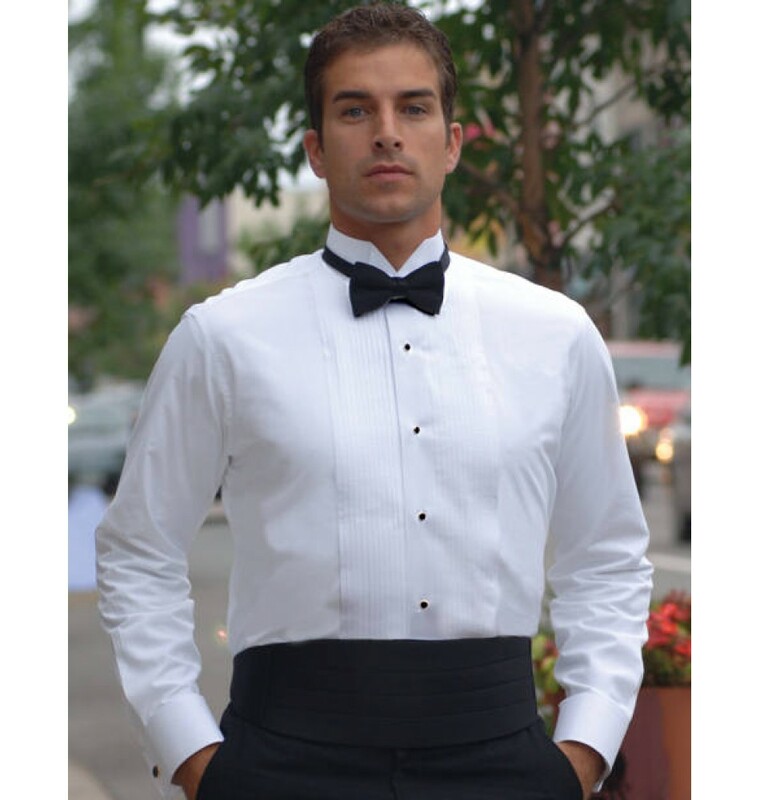 Available in long sleeve, short sleeve, or sleeveless styles, our tuxedo shirts come standard with black plastic stud buttons and pearl plastic buttons. 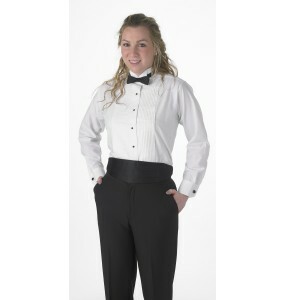 You will also have the choice of 1/4" pleats or 1/8" pleats. 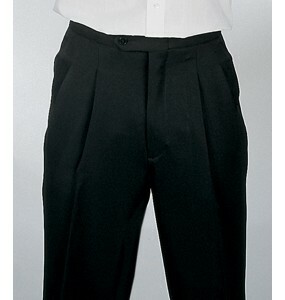 The pleats are located on the chest of the shirt. 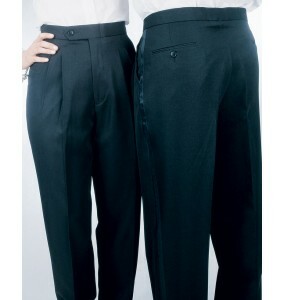 1/4" pleats are the most common pleat size selected by our customers and are considered the "standard size". The standard 2" bowtie is made of poly-satin fabric and has a sliding buckle for simple "one size fits all" adjustment. 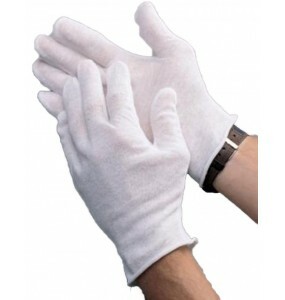 Both items are stain resistant and machine washable. 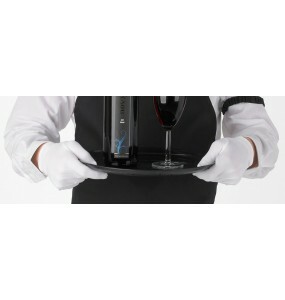 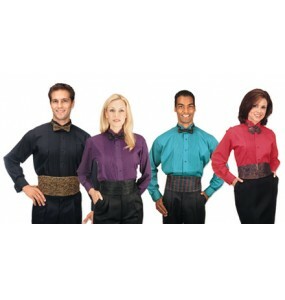 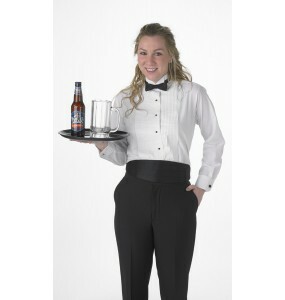 Perfect for formal events, banquet servers, waiters, waitresses, and restaurant and catering companies. 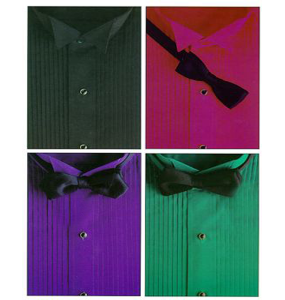 Free shipping on orders of $89 or more!